As part of FlexQube’s ambition to strengthen its presence on the German market, FlexQube has now set up a German subsidiary, FlexQube GmbH. The German subsidiary is strategically located in Oberursel, just outside of Frankfurt am Main and will primarily focus in customers in Germany, but also on customers in neighboring countries. 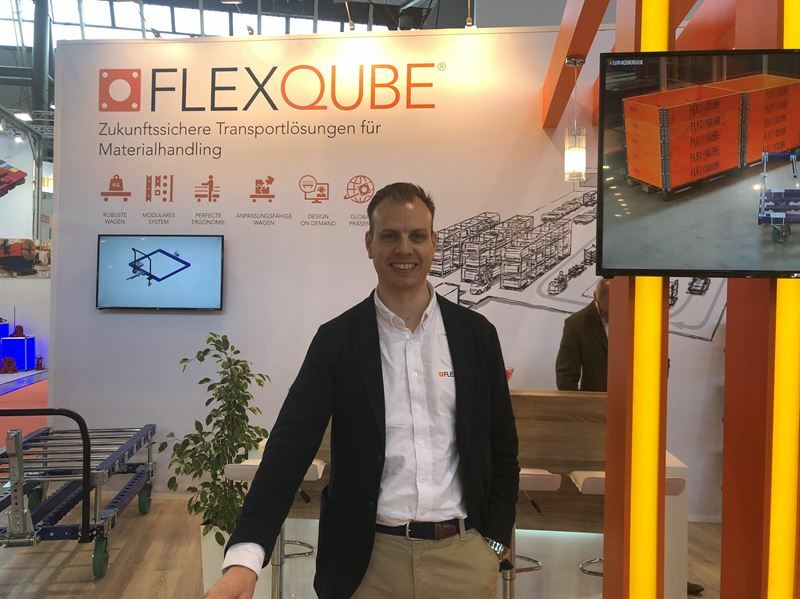 As part of the increased focus on the German market, FlexQube has also hired its first German sales person, Jan Brettmann. Jan has many years of experience as a seller of products within intralogistics in Germany and has a large network within industries relevant for FlexQube. Prior to joining FlexQube, Jan held the position as Senior Business Development Manager at Trilogiq Deutschland GmbH. Jan will start his new position on April 1st 2018. “We have great expectations on this expansion of FlexQube’s presence on the German market, which undoubtedly is the largest market in Europe. By recruiting Jan Brettmann, who is a very experienced sales person, we aspire to quickly create a strong market presence resulting in new successful customer relations”, comments Anders Fogelberg, CEO of FlexQube. FlexQube is a company that offers a unique and patented concept that is used to design and deliver robust, modular and flexible carts and racks. The company has manufacturing in Sweden and USA and distribution in North America and in Europe. On December 14, 2017, the company was listed on the Nasdaq First North in Sweden. FlexQube has some of the world’s largest manufacturers within automotive-, energy-, defense-, aerospace-, home appliances-, and construction machinery among their customers. Some examples are Volvo Cars, Autoliv, Scania, Whirlpool, Eberspächer and Oshkosh. This information is insider information that FlexQube AB (publ) is obliged to disclose in accordance with EU Market Abuse Regulation. The information was provided by the above contact persons for publication on 22 March, 2018 at 14:30 CET. FlexQube® is an independent company who supplies material handling equipment, tugger carts, industrial carts and racks, that are modular and robust. By using the same standard building blocks various solutions are built. The modularity makes it possible to make adjustments and additions along the way as the customers’ needs change. FlexQube® have global presence with manufacturing in Europe and USA and many of the world's largest companies within industrial equipment and automotive as our customers. We are specialists in lean manufacturing and lean material handling with ergonomic industrial carts. By recruiting Jan Brettmann, who is a very experienced sales person, we aspire to quickly create a strong market presence resulting in new successful customer relations.